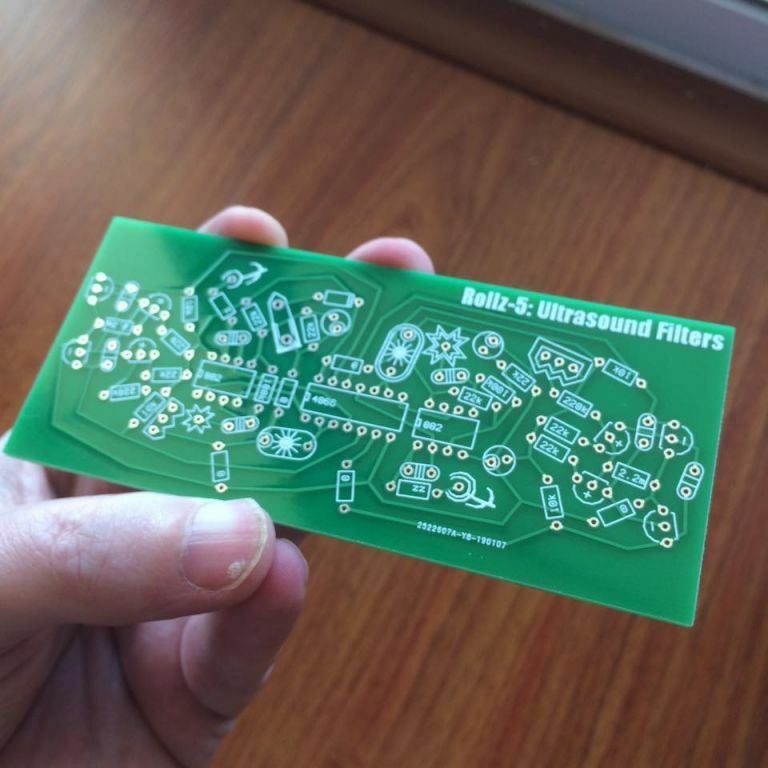 MUFF WIGGLER :: View topic - Paper Circuit PCBs? I just built a Grassic Organ on paper and it doesn't work, I figured it wouldn't because my free hand skills aren't great. 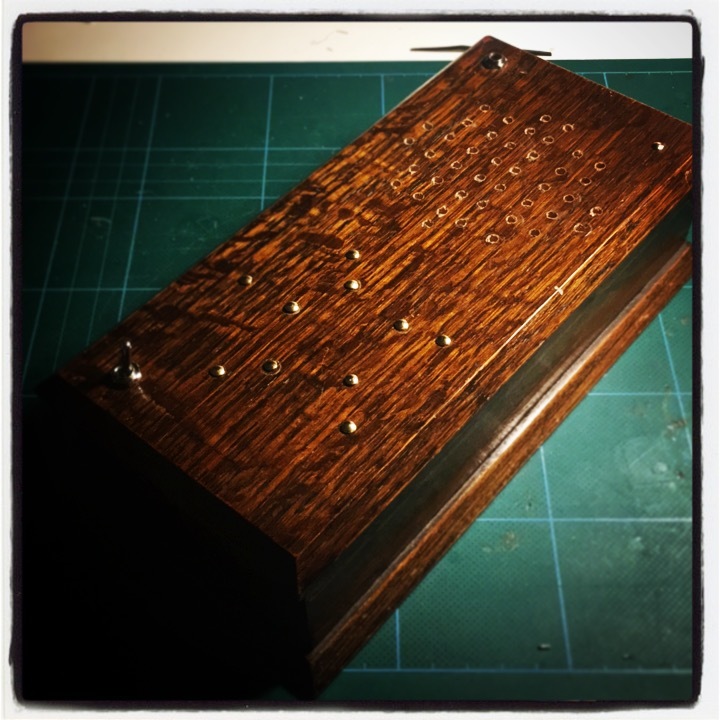 Anyway I would love to build multiple grassic organs and eventually the Rollz-5 (does anyone know if I can still get a meng qi board??) and Would be great to have actual PCBs to have a better shot at them working. 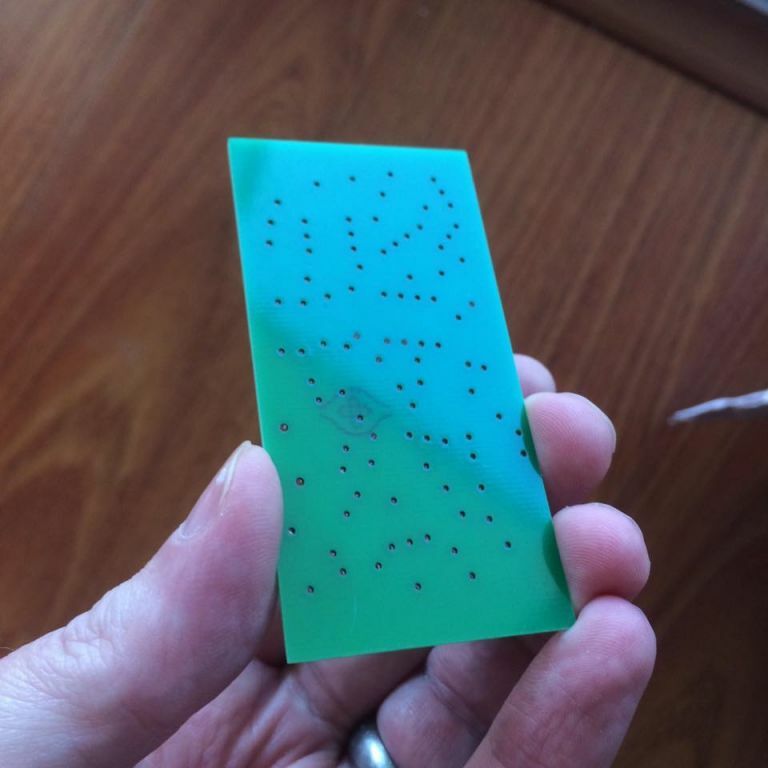 I messaged meng qi a while ago through etsy, he said he was working on a new rollz 5 pcb. I've seen one pop up on eBay for $100, which was $50 more than I wanted to spend. I built several rolls, an ultrasound, and most of a gong. The rollz were very easy, but I found soldering to the chips on the other circs extremely annoying. 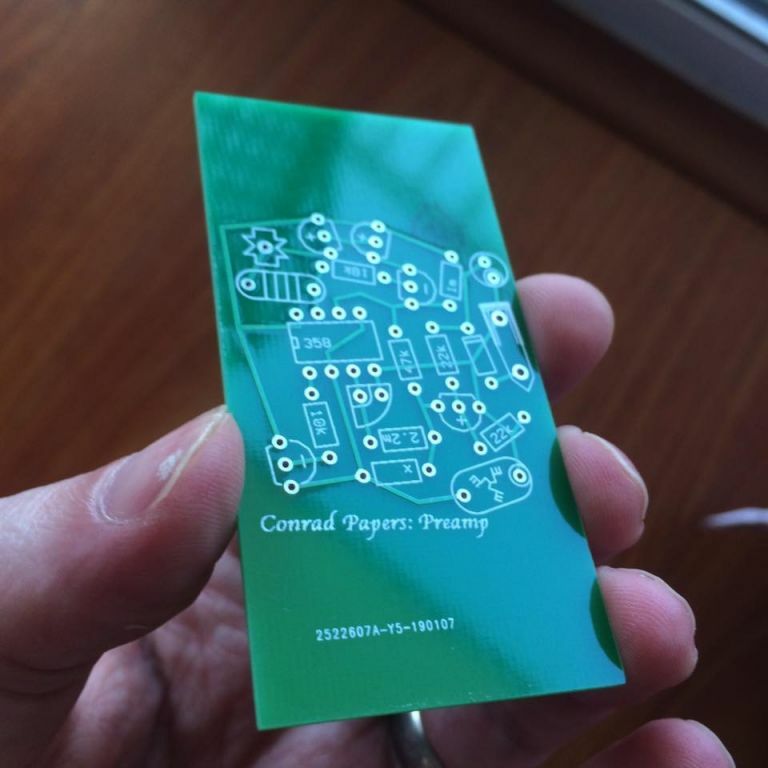 I too am interested in any paper circ pcbs. I just Messaged Meng qi through etsy as well. 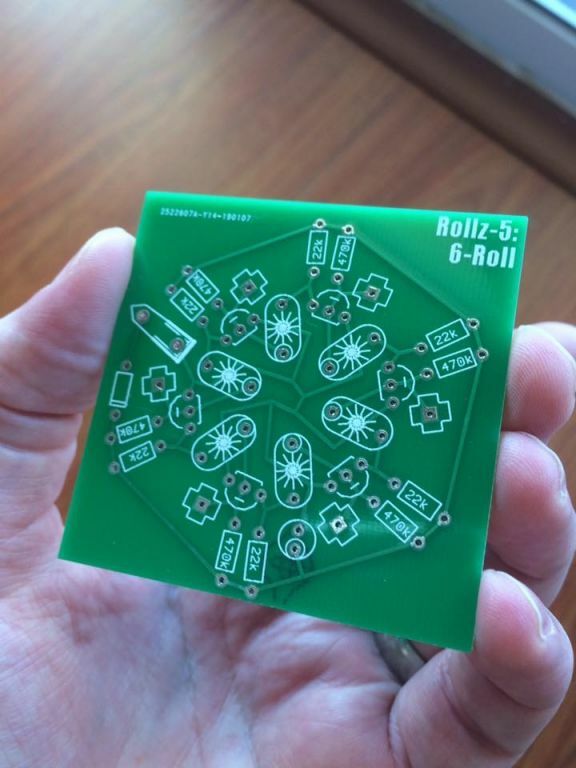 "Hi, Rollz-5 pcb is in production right now and Grassi is in stock. So both would appear in the shop soon!" I was shocked for your design, I did not weld on paper or connected to the circuit. This site has pcb manufacturers in all regions, but I have not used it. After a friend recommended I used the wellpcb, is a pcb prototype and assembly of the manufacturers. I ordered a small batch of pcb board, the price in a reasonable range, the quality is fine, I weld by myself, did not use the assembly service. I built a Lil Sidnrecently, using a PCB from Dennis (Bomono on Instagram m). Works likes a dream. Yes I have - I wanted to start doing the paper circuits, but not on paper, as its looks a bit too fiddly. I much prefer a PCB and something more reliable. 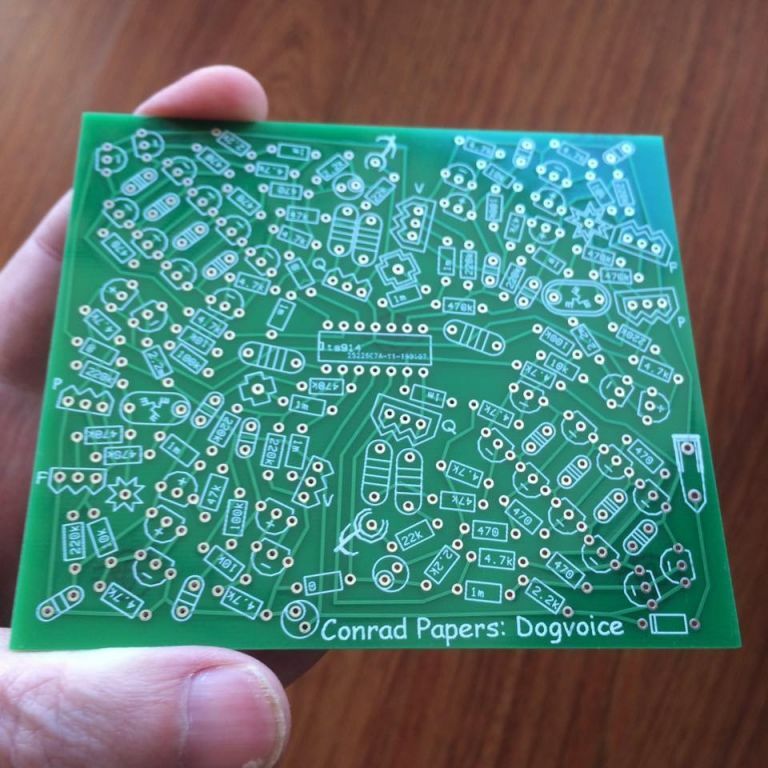 So i got some paper circuits PCB’s made, as an experiment, and just to see if it was possible to do and for my own personal use/interest. I chose ones that weren’t currently available. I made Rollz 3,4,5,6, Avdogs, Gongues, Deerhorns, 5 star, ultrasound. All the Conrad papers. 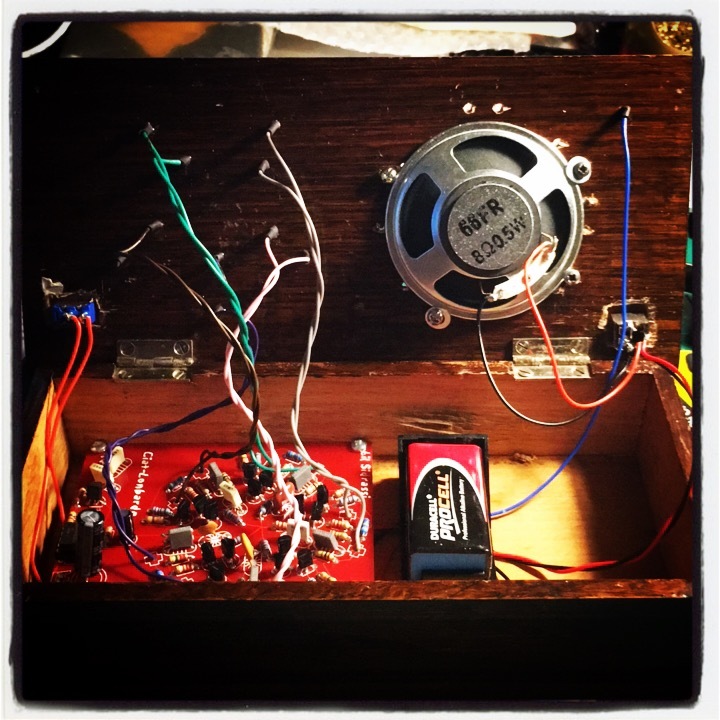 Dogvoice, Swoop, Rando, Preamp, Swoop spokes, Esoterica Chainlock, 5 Star and Phosphate of Aluminium Crystal Simulation. anti rando, antiswoop, antipreamp, Deerhorn Berlin, Deerhorn Moon, Deerhorn Prov. 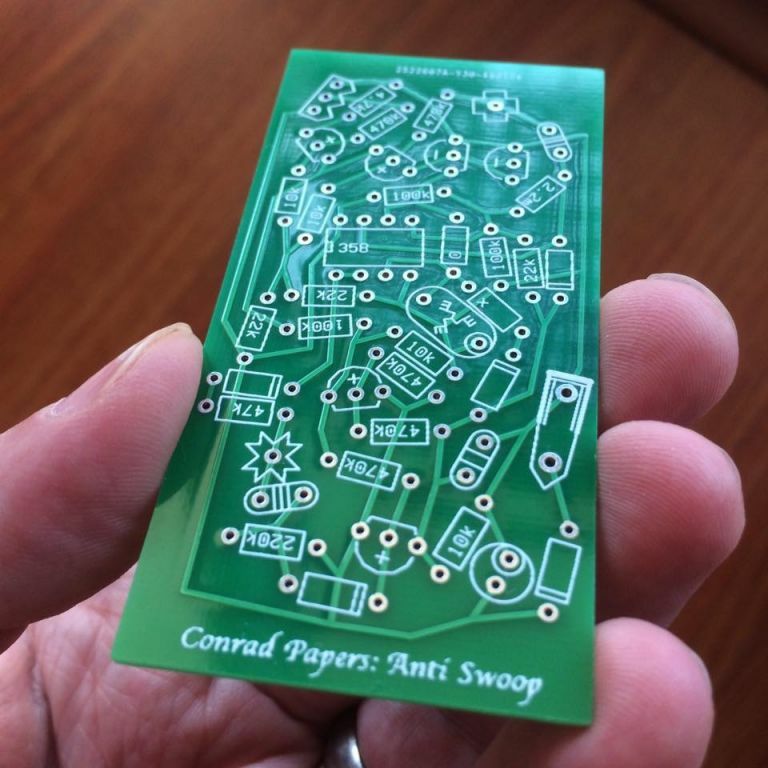 How to make Ciat Lonbarde paper circuits PCB's. You will need to rename these files to .osm files for it to read. Open any of the .osm files that you have in that program. 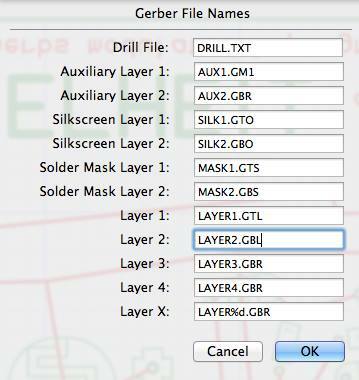 After opening you need to export to Gerber file. You get a message that says "Not all paths connected" just ignore and Press OK again. and in a folder for example "GerberFiles_conrad_preamp"
Inside it are lots of little Gerber docs. Using a file manager (not Osmond) - duplicate layer 1, and mask 1 and rename them layer 2, mask 2 and add the proper extensions as per photo attached. Change all extensions of other files as per photo. That zip is what you send to the pcb manufacturer. But you can use any. Theres a review site at pcbshopper.com to choose which manufacturer you want to use. If you know how to use Osmond I would also recommend you add mounting holes in the corners. Rollz6 also has an error - the 1uf non hairy capacitor is pictured the wrong way round. These look great. 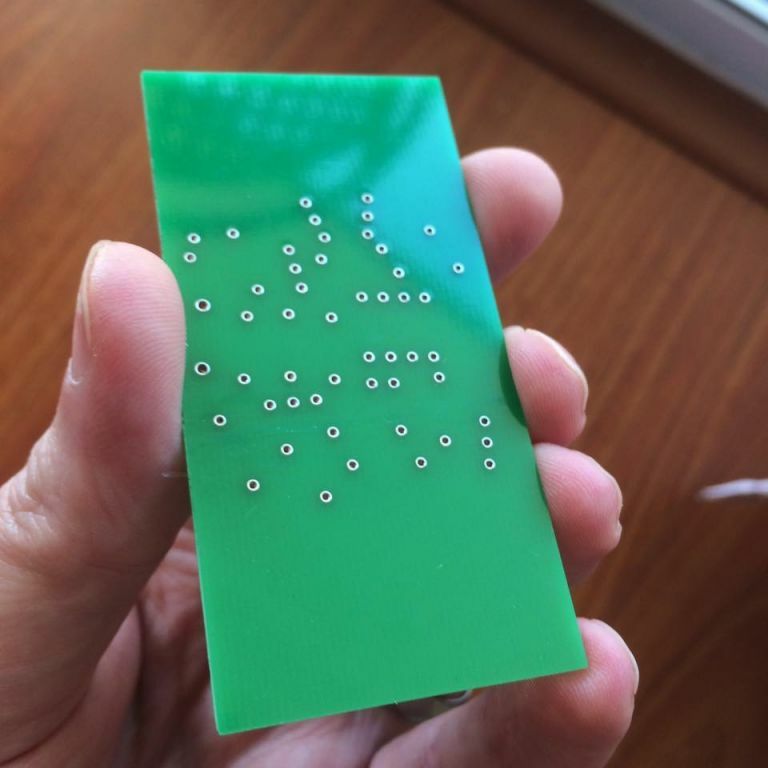 I'd love to have some Rollz pcbs to experiment with. If you had any extra I'd be happy to send some $? Yeah those look great! I would be interested in a few of them, like some of the rolls or the dogvoice and deerhorn. Would be cool to do a group buy! Guys, I live in fairly remote area of Thailand 1 hours drive to the nearest post office and made enough for myself and a couple of friends. I really provided the info so that you could make yourself as I don't want to make a business from this. The prices of doing this was ridiculously cheap and would be cheaper to go direct than me reposting from Thailand. Maybe guys in the States do a group order? Guys in Europe do a group order? Also you can add stuff I didn't order like Lil Sidrassi's and Gerassics etc. there's loads of stuff in that papers.zip file that I'm not familiar with. Usually there's a minimum order of 5 PCB’s. Small pcbs say 4x4cm like the Rollz @$2 for 10 pieces. Avdog / Ultrasounds / Gongues were $5 for 10 pieces. 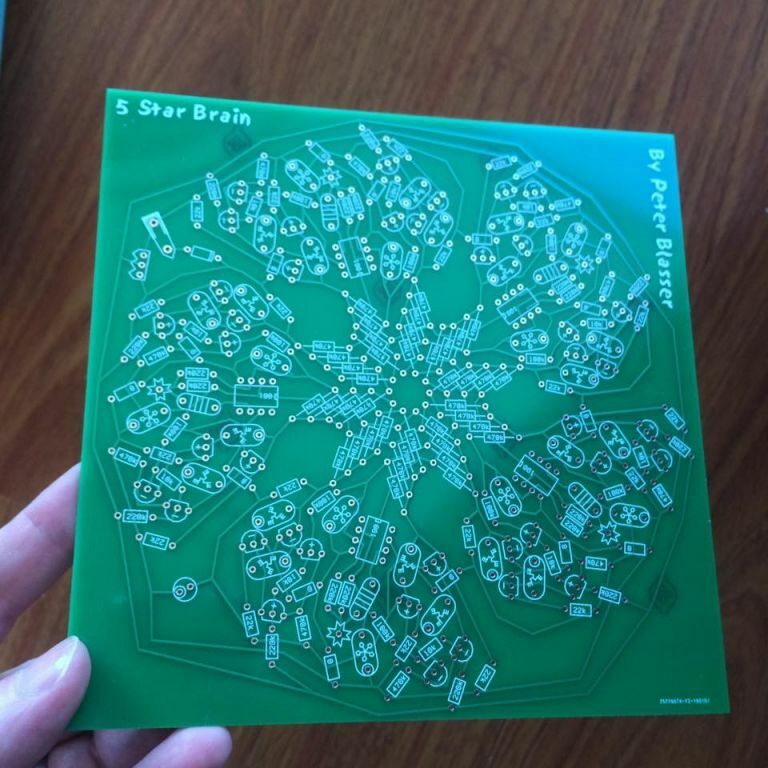 Bigger pcb say 10x10cm like 5 star and Dogvoice were @$22 for 10 pieces. The Deerhorns are big 40cm long and were $21 for 5. Shipping @$30 from China. My order took 7 days from when I ordered to when I received (in Thailand). And I paid import duty of @15%. So look at 1/3rd of you price for shipping. Seriously, it was easy to do. Just follow the instructions I made. Hints - A new customer order gets there first item heavily discounted, so choose the biggest pcb (Swoop Spokes or 5 Star / Deerhorn) for your first item. Also choose the most expensive shipping as that is also heavily discounted on your first order as a new customer. The only issue I had was that a few pcb's came back with the missing pad solder on the back of the pcb. I actually contacted the pcb company and the issue with no pads on the bottom on some of the PCB's is because there was no pads in the gerbers from Peter. It's not an issue with the pcb company. This happened with the Rollz6, Anti Swoop, Anti preamp, 2 lots of Deerhorns. I guess they are still useable if you solder from the top. All the other stuff I ordered was fine. The actual pcb quality seems really good and for the price, you can't go wrong. Everything came back shrink-wrapped/bubble wrapped with order / batch numbers on etc so it traceable / traceable if there are issue. There's a quality control ticket per item that you fill in and upload photos if issues. They replied back after a day. But like I say, will they work? I've not made made any but they look promising. Thanks anyway for the info! I’d be down to throw in on a pcb group buy. I’d really like dog voice and anti swoop but would be willing to chip in on others too if that’s what you guys decide. Has anyone made any of the paper circuits using a conductive ink pen, like the Bare Conductive pens / paint? I was wondering whether this might be an easier way to build them, rather than stick copper tape together, and possibly do it on 3mm ply and then drill holes to mount the components - using the paint again. A good idea, or foolish?